Can I double lace yarn to use as sport weight? It depends on the yarn. 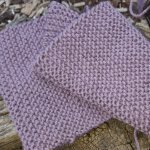 What I would suggest is that you knit a tension square using the double yarn on the needles specified for the sports weight and then compare the stitch/row count over a 10cm/4 inch swatch of knitted fabric. That will tell you one way or another. If the tension is close, you can adjust by increasing or decreasing the needle size. If it is nowhere near the tension specified for the sports yarn, you will know that it will not work.